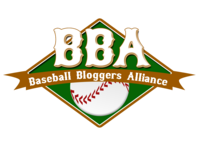 The Texas Rangers Blog - TTRB: Is Nolan Ryan On the Way Out? Is Nolan Ryan On the Way Out? Glass Half Empty / Afternoon Cloud: If Nolan Ryan, the face of Texas Rangers baseball, is essentially being forced out by ownership his departure will be in the final nail in a terrible offseason for the front office. Glass Half Full / Silver Lining: Or maybe Nolan is just retiring? Maybe? Or maybe, Nolan is OK with letting the young guys take on more responsibility and he can sit back and just oversee the whole thing. Hopefully. Thoughts / Observations / Sidenotes: I hope Nolan doesn't end up leaving the Rangers and goes to work for the Astros (now AL West bunk-mates of the Rangers) and helps to build them into a World Series contender like he helped do with the Rangers.